Vibrant Vinyls has so many things going on and they all seem to smell delightful. 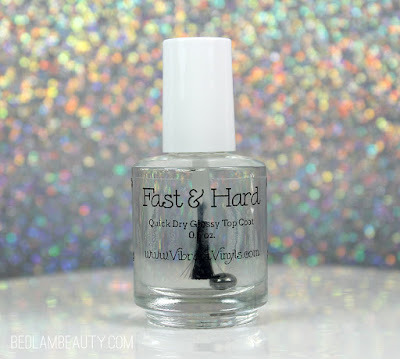 Last month, she and the Polish Pickup offered us a fruity-yet-angsty cuticle duo and this month she is giving us a super fast drying glossy topper in the juiciest scent. 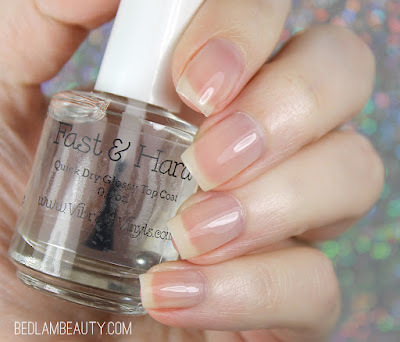 This is a super shiny fast-dry topper that smells like a delicious tropical drink. According to Ms April, it is a "...tropical blend of juicy peach, sweat papaya, and lucious mango..." It really does smell delightfully fresh and juicy. The scent pops up within minutes, and settles nicely into a pleasantly light cloud around your fingers for the next 24 hours or so. Actual function-wise, I found pretty comparable to my beloved Seche Vite. 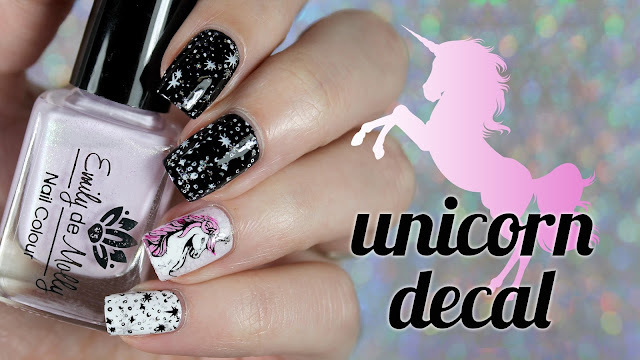 It dries super fast, and is glossy and plush across even simple manicures (like the one below. I love a good palate cleanser!) I will have to do more testing to see if it has the same staying power, but every review/rave I have seen so far says all good things. This scent is a Polish Pickup exclusive, and I implore you to not let this one pass you by! It is a great scent for the summer! It will be available on June 1, 2018!